There is an old Soviet political joke in which a communist leader is preparing his successor for his duties in office. 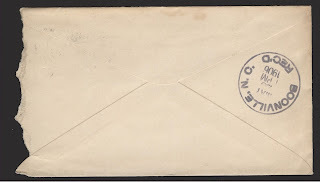 "Before I go," he told his successor, I am giving you three envelopes. When you are truly at a loss for ideas, when you are in serious trouble, open the envelopes. The envelopes were arranged in numerical order. After about three months, after bruising political setbacks, the new Premier opened the first envelope. "Blame your predecessor." noted the simple instructions. The Premier was prompt in carrying out the instructions. "Because of damages caused by the grievous mismanagement of my predecessor, it is imperative for my new administration to undertake painful austerity measures and to ask the people to redouble their efforts to new Five Year Plan." The speech had the desired effect. For another six months, the Premier enjoyed good will, as well as acceptance of the notion that he had been left a sorry mess with which to cope. After that, however, he had to open the second envelope. "Reorganise." was the simple notation. The not so new Premier was quick to comply. He consolidated the Ministry of Internal Security with the Ministry of Foreign Affairs. He created a new Ministry of Education, separate from the Ministry of Health Education and Welfare. He fired a couple of ministry heads. All went well for another few months. Then he found himself to be more unpopular than ever. At a loss for ideas, he was left with no alternative but to open the third envelope. It is clear that President Obama has opened envelope number one. It is equally clear that the public has grown weary of pushing all the blame for our nation's difficulties onto the previous administration. 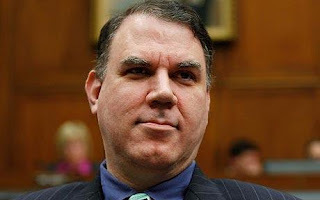 The sorry state of national security has been laid bare, as well as the shocking cluelessness of Janet Napolitano, the director of the Department of Homeland Security. The school safety czar has been proven to be a doctrinaire gay militant with a shocking history of promoting homosexuality at early ages. He has promoted an unpopular national health program and alienated his left wing base with the compromises made in promoting it. It is clear that Obama has opened the second envelope as the novelty of his new administration has been replaced with the reality of his costly inexperience. How long will it be before Obama opens the third envelope? 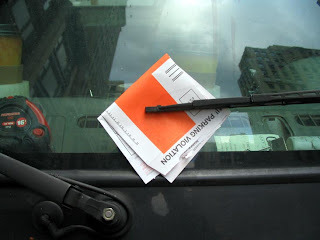 With G-d's help, my daughter in law beat a parking ticket today. In New York, you always go down to deal with it in person. Never just pay on line. At the Parking violations place, they will offer you a reduced fine. What is even better, they will look for mistakes in the ticket before you go to see the judge. My daughter in law was fortunate. The judge himself found a technicality. She didn't even have to present her evidence. That almost never happens. I got two tickets a few weeks ago. One was for an expired inspection sticker. The other was for parking my motorcycle on the sidewalk. I came out as the cops were writing the ticket. We got into a friendly conversation. I expressed sympathy for their position. Philosophically, I felt they were performing a needed role, even though I stood to lose about $200.00. I wished them a good day and promised to be more careful. My daughter was fighting another ticket for her work, so she brought my two tickets with her. The expired inspection was correctly written. They reduced it to $45.00. My other ticket got thrown out. It was mistakenly written out as being for a school bus. So with G-d's help I saved $40.00. There was one time I was riding my motorcycle. It was about 6:00 in the morning. The intersection was deserted. I slowly rode through it. The cops pulled me over. One asked me "Do you know why I pulled you over?" I never volunteer an answer. "Perhaps you can tell me." "What colour was that light back there when you went through it"? he asked. "I don't imagine you would have stopped me if it were green." I answered. He smiled. It was a lawyer's answer. I wasn't admitting anything. And I wasn't lying. We chatted a bit about motorcycle s and he let me go. The police are doing a job. I respect that. Even if i get pulled over, I realise that fear of a ticket keeps me safe, even if I get one myself. I am grateful for the police, and I show it. I like to believe that putting positive emotions into my interactions with police is of help to me. Every day, I try to at least once look at myself in the third person. It helps my peace of mind. Every year, Hanukkah and Christmas occur in close proximity to each other on the calendar. This year was one of those rare years when Hanukkah ended well before Christmas. Despite their close proximity, the two holidays are completely separate. Christmas commemorates the birth of the founder of Christianity, although the actual date of birth of Jesus has not been established with any ironclad certainty. Hanukkah celebrates the liberation of the Holy Temple, the Bet HaMikdash from Greek occupation, which involved cleansing it of idols and reinstituting the order of services. Each holiday is part of a calendar in which each holiday has its meanings and traditional observances. The New York Times presented a picture of converts to Judaism at Christmas time longing for the holiday they had given up in an article published on Thursday, December 25. It was rich in personal details and anecdotes. It was also incomplete. Details such as the following. "Though Ms. Jett usually goes to her mother’s house for Christmas, this year, her mother came to New York instead, and Ms. Jett and Mr. Silver decided to invite several friends — they affectionately called them “Jewish orphans” — over for dinner. They planned a traditional Christmas menu of bourbon-glazed ham, mashed potatoes, roasted broccoli, Brussels sprouts, green beans and yams, cooked by Mr. Silver, who works for a real estate investment firm and is the designated chef in the relationship." It is fairly obvious that even the menu, with ham as the centerpiece shows that "Judaism" was something marginal and superficial to Ms. Jett and Mr. Silver. It also shows a confusion about (or indifference to) Jewish belief and tradition as well as Christian tradition. There is a body of tradition with each holiday that does not automatically harmonise because two people want to share a last name and a tax return. I converted to Judaism 30 years ago. In my neighbourhood are enough people who have converted to Judaism to fill a medium size shul to capacity. The majority maintain respectful and regular contact with their families who remained Christian. All celebrate the full calendar of Jewish holidays. I can speak for myself, and my experience is not unusual. Our family goes according to the Jewish calendar, with holidays and birthdays. I go out of my way to work on Christmas and New years. I keep regular contact with my family, and wish them well on their holidays. I do not tie giving of presents to Hannukah or to Christmas. Neither are common denominators between me and my parents and siblings. I do give presents to express feelings for and understanding of the person to whom I am giving a present. I tell them to call it whatever they want. It is an expression of a continuing bond and memory of shared experience. My mother used to express sadness that I could not eat the same food as the rest of the family. I would tell her that I was there to spend time with her and enjoy her company, that the food is incidental. There was some tension about rejecting the faith she raised me in. My response has been to focus on those portions of her cultural heritage that did not conflict with my religious beliefs. Over the years, this worked out. The love and respect from my children was reassurance that she is truly loved and respected. Every person has their inner life, their family life and their communal life and professional life, as well as their relationship with G-d. Balancing all these factors is a challenge we all face. The needs of the family must be met even as one is immersed in making a living. The concerns of the community can not be completely ignored either. Everything needs to be balanced. There is an expression that is used by Catholics. "Cafeteria Catholicism" means picking and choosing what one believes in that faith. It has become very popular in other faiths as well, including Judaism. The danger in such an approach is its superficiality. Rather than taking an idea apart, challenging it and analysing it, one simply tosses it back in the bin at the department store of religious thought and looks for something with more appeal. This is not an approach that will yield any deep understanding of a belief system. It will yield a patchwork quilt of religious beliefs that might make a nice security blanket that is not terribly challenging. I once showed my rabbi a book of Jewish quotations. He pointed out that the selection of quotations was itself a statement of a general outlook, that the quotes were not truly random. He did not mean it in a negative way, but suggested that I use an appealing quotation as a springboard for further study. Pick and choose religion might be "Jackism" or "Judyism", but it should not be confused with Christianity, Judaism or whatever other faith we choose to call it. What is wrong with having your personal religion? Why give up one's independence? If one's god always validates you, never disagrees with you or challenges you, it might be god created in one's image. There were people in biblical times who soothingly told the people how wonderful they were. They were called false prophets. I want a faith that will help me swim against the tide, a religious belief system that will even help me fight myself when that is necessary. I want to be the type of person who won't join a lynch mob. I want the courage to be a holdout juror. While I'm waiting for such episodes of moral fortitude, I'll settle for not joining in the office gossip and changing the subject instead. I'll also settle for writing a check to a deserving charity even though I'm feeling real stingy. A religious calendar that has a fast day or restrictions on my conduct that won't bend to our rationalisations may be inconvenient. But it is what we need. The Germans in World War II had belt buckles that said "Gott Mit Uns" (God with us) It sounded like a god you pack in your knapsack with your k rations and weapon. It sounds like a rubber stamp god that you carry with you rather than one that you follow. A lot of Christians object to their holidays being stripped of religious connotations. I object to the same thing being done to Judaism. Secularising a religious holiday does as much for religion as a taxidermist does for wild life. It creates something pretty to look at that has no life. It is possible for people with mutually exclusive theologies to agree on a code of good conduct. American society has evolved in that direction and functions remarkably well. We have a remarkable level of civility that has lasted with blessedly infrequent interruptions for most of our history. I believe that G-d is much greater than our understanding could possibly be. There will be righteous redeemer who will resolve our doubts. Until then, proceeding according to common commandments, we thank G-d know how to behave towards each other, even if we disagree about theology. I am happy for my Christian neighbours, friends and family that they have a tradition they are happy with. I feel the same about my own path. A holiday season based on cultural envy hardly seems rewarding or meaningful Ultimately, the best way to be a friend is to first be yourself. Heartfelt best wishes to all on your respective holidays. After posting for a few months on rantrave.com, I want to see it achieve even more than it has. My motives are a mixture of altruism and selfishness. My altruistic motives consist of a fondness for the site's founders, who I have never met and the other rantravers, who I have also never met. I have benefited at least as much from ideological opponents as I have from those who validate and agree with me. I want them to be as well heard as possible. My selfish motives are as follows. Rantrave has increased my daily hits about twenty times what I was getting before. And I want more. I want next year to be twenty times as big as this year. Since rantrave has broadened my audience, I want rantrave to get bigger. For this reason, I plan to follow rules that I believe will make the site more appealing. Whoever writes or comments on rantrave deserves respect, or at least civility, unless they violate the guidelines, which are really common sense and decency. There is a pompous expression that irritates the hell out of me. "He (she) doesn't suffer fools gladly." When I hear that said of someone, I feel like throwing a pie in their face. Because I am sometimes a fool. I sometimes float a poorly conceived idea. I sometimes shift my mouth into drive when my brain is in park. When that happens, I like to be told how my logic has fallen short. I don't like to be called an idiot or some equivalent thereof. Eye rolls, sneering or verbal abuse can cut to the bone. I don't like it done to me, and I don't want to do it to others. Looking at it from rantrave's point of view, readers might be scared from registering or becoming regular contributors. No one likes to walk a tightrope over concrete. Make it easy to fall. Rantrave is evolving its group personality. We should make that an inviting entity. Tom Wing dis some funny photoshopped visual gags. They were brilliant. They enabled newcomers to get the joke and laugh along. Amish King actually inspired me to write about micronations, fictitious countries that exist mostly in the mind of their creators, if at all. Most of all, there is a silent majority of rantrave readers who never register, but might be pulled in by a single article. My dream is that some will check in regularly. In the back of my mind I worry about the rantrave founders getting enough out of it to continue keeping the site up and maybe to tweak the idea to make it work even better. I want the silent majority to be interested. If they want conservative opinion, I hope they will find it. If they want liberal opinion, I hope they will find it. And I hope we can stage good arguments for those who like that as well. Sports bore me. Jesus is not a part of my theology. I have limited interest in most popular films. But I have watched those to whom these themes are central rack up awesome hits. People whose politics I share are driven by different theologies. I am most impressed by the civility of some who are repelled by some of my beliefs while sharing some of my interests. I feel an obligation in public spaces and the homes of others to maintain civility and a measure of self effacement. I want everyone to walk away from a session on rantrave feeling better, feeling fulfilled and not to feel hurt or insulted. because I want the site to succeed, as well as all who come to it. When people cancel or stop posting, its a loss to the site. I certainly don't want to cause anyone to do that. My biggest weakness is that I sometimes post my daily two articles and scram. I appreciate comments. I will try to return the favour, say maybe with four comments on other people's articles each day. We all know that SUV's need to be wiped out. We all know that the earth needs 4 billion less people . Who is the latest criminal class in the trail of "carbon footprints" on our beautiful planet? Pet owners. That's right. Pet owners are destroying our beautiful planet. 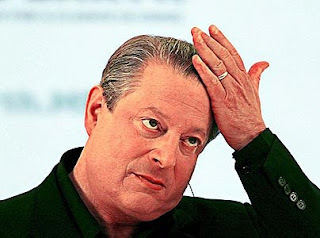 Agence France Presse reports as follows on the latest trends from the "environmentally aware", none of whom appear ready to assume room temperature to fight global warming, climate change, or whatever the current phrase is for ragging on multicellular creatures. "Man's best friend could be one of the environment's worst enemies, according to a new study which says the carbon pawprint of a pet dog is more than double that of a gas-guzzling sports utility vehicle. Combine the land required to generate its food and a "medium" sized dog has an annual footprint of 0.84 hectares (2.07 acres) -- around twice the 0.41 hectares required by a 4x4 driving 10,000 kilometres (6,200 miles) a year, including energy to build the car." Now it has come to the fact that every creature is being measured for environmental impact. First it was smokestacks. That was sensible. There are ways not to pollute the atmosphere when creating industrial goods, heat or electricity. I have no problem with questioning automobile design or energy sources. There is nothing wrong with extending thrift to the environment. 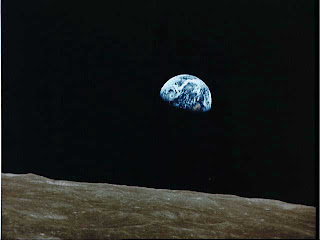 But who is the earth for? Knock off four billion people for the health of the earth, but be sure to choose the right ones to consign to oblivion. I'll be first to go. With my lactose intolerance, I am a major offender in the global warming department. My carbon footprint is about 13 EEE. Now its pets. Even little cats are offenders. AFP continues. "Cats have an eco-footprint of about 0.15 hectares, slightly less than driving a Volkswagen Golf for a year, while two hamsters equates to a plasma television and even the humble goldfish burns energy equivalent to two mobile telephones." What are we coming to? We need to revert to one celled organisms! They have tiny carbon footprints! But some of them produce gas. So we have to kill off four billion humans, all those evil carnivorous dogs and cats, our hamsters and our goldfish. Then we have to disinfect the earth. What is the most efficient way to do this? 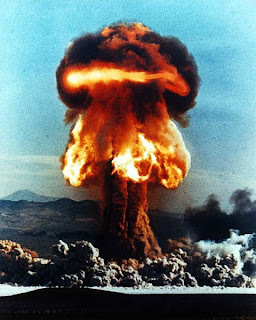 North Korea and Iran are developing nuclear weapons. North Korea is also helping out by starving its surplus population. Maybe its all part of the latest wisdom from Copenhagen, where everything from SUVs to cats and dogs to flatulent bloggers and Korean peasants will all clear the way for the NEW WORLD ORDER, in which trees and amoeba will cavort and frolic in idyllic bliss, just as soon as the nuclear haze clears up. I can hardly wait for these people to save my planet. But for what? 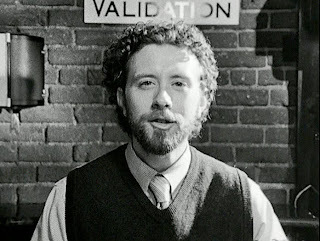 My wife showed me a link to a short film (a bit less than 17 minutes, that is on You Tube called "Validation" by Kurt Kuene and starring TJ Thyne & Vicki Davis. It has received awards at film festivals around the country, including the following partial list. The film shows a man whose job in a parking garage is simply that of delivering hearffelt compliments to total strangers who seem to feel invigorated and inspired by his words of encouragement. My reaction upon watching the film was at first one of disbelief, of cynicism. How sincere could the guy be? The black and white in which the movie was filmed, along with the ordinariness of the actors reminded me of the twilight zone and enabled me to suspend my disbelief. Eventually, it evoked memories and comparisons with what I have read and what I have experienced. Isaac Bashevis Singer once embedded in one of his novels the story of a hot tempered opponent of chassidism who struck his chassidic son in law and agreed to go to a Rebbe for a prescription of penance and self correction. The father in law stormed out of the Rebbe's office, convinced that his son in law's rebbe was a fool. What did the Rebbe tell the man? He told him to compliment people and to say pleasant things to them, even if it was the total opposite of his feelings. Grudgingly, with coaxing from his son in law, he tried it out on even the most annoying people in his life. At first, they were skeptical, but eventually they responded in kind. He in turn ended up responding with sincerity to a side of people that he had previously never seen. In transforming his surroundings, he transformed himself. In my personal life, I long ago made a resolution not to gossip, not to save up the latest dirt to share with my wife when I get home. My success rate is not 100% by any means, but it has impacted very well on my relationships with friends and coworkers. It also affects how I see myself. I tend to subconsciously assume that people are speaking well of me, since that is how I speak about them. It has actually helped me with depression. Speaking about Bosnian rock music or endangered languages never hurt anyone. Neither did talk about sports or history. Eventually, in the film, it became clear that the Validator truly believed what he told people. 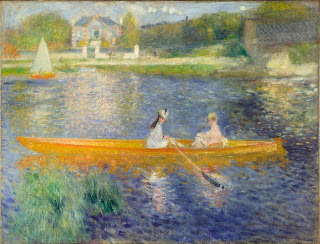 Of the many brush strokes in the painting of his surroundings, he focused on that which cast people in a good light. In a fable, things are simplified. Clearly there are con artists, thugs and all around low lifes of one needs to be wary. Missing the cues for finding such an individual can be very costly. But the "Validation" fable focuses on what can be lost for want of trust in the sparks of goodness that can be fanned into a steady flame. My experiences in life validate the truths of "Validation". The light one shines on others brightens one's own path. I hope my readers will watch this film. And I hope to see more from Kurt Kuenne, who wrote, directed and composed this amazing film. One of the few things Mao tse Tung ever said that I agree with was "Let a hundred flowers bloom", in which he called for more open discussion in society. Unfortunately, he ploughed his garden of ideological diversity back under in a matter of weeks. Either he couldn't handle the criticism, or the whole affar was a ploy to smoke out opponents. I believe in airing diversity of opinion for a number of reasons, not the least of which is the hope that exposure to criticism will stave off intellectual flabbiness. My scope of writing has evolved over almost two years of blogging. Although I am guided by my belief in traditional Judaism, I am nevertheless a secular blogger. On occasion, I will blog on religious themes, but only when I am sure of what I am saying. I do not want to mislead in matters of faith. I do favour religious freedom, and advocate for it loudly and often. This also includes, where desired freedom from religion. I advocate for the Seven Noahide Laws as a cornerstone of public policy. They are as follows. I believe in a non adversarial relationship for workers and business owners that should sustain both. I refer to this approach as "labour conservatism". Israel is near and dear to my heart, although it is seldom that I write about Israel, which I believe is the G-d given home of the Jewish people. I believe it should be defended militarily by its people without apology, but more importantly by keeping the faith in deed and belief. 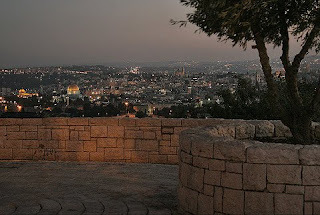 I believe that peace will come to the Holy Land through spiritual and physical strength. I seek to ally on individual issues with those of like mind. I feel I have common cause with religious Christians on some issues such as the definition of marriage and abortion. I feel that family values should include a living wage for workers. I am puzzled that this is not mentioned more frequently in the context of defending the family. 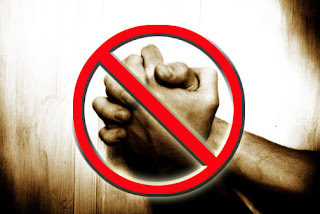 On rantrave.com, where I post almost all of my articles, I stay out of discussions of Christian belief. I am interested in practical collaboration for a better world. Christian theology is not my concern. I applaud anyone who wants to rally believers of their respective faiths or even start lively religious discussions. An open forum such as rantrave.com should offer such choices. There should be (and is) sports coverage as well as articles on popular entertainment. A lot of that I pass over as well, although sports that involve a country or city that interests me is something I will stop to read about. 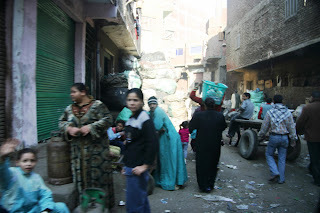 In blogging, I try to share my curiosity about the world with my readers. Art and international music are important to me. I believe that beauty is democratic. There are superpowers in aesthetic beauty that are not economically dominant. All around us are traces of what was on earth before us. In articles like the one I did on Polish Muslims, I try to connect the present to past history. 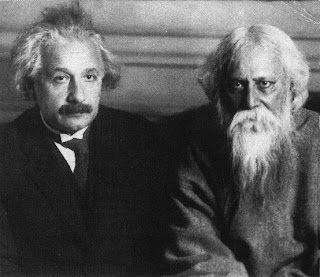 Even though Pakistanis and Indians have fought a few wars, Hindi and Urdu are very close linguistically. The same goes for Serbian and Croatian. Even when wars must be fought, there is tragedy to the waste of human life. I try to focus on the threads of commonality in the human tapestry. My favourite articles are not the most popular. My article on East german art under Communism has gotten sixty two hits. My article on a popular singer in Tajikistan got 163 hits. My father wrote a book that sold less than a thousand copies in 40 years. He is a role model to me. I write about what moves me. What moved me to articulate a "mission statement" was in reading the articles of Edward Lee. I respect his devotion to his faith and thought that perhaps I should shift to a more (Jewish) religious focus. While there is a place for such a person on rantrave.com, I do not feel qualified to write such articles. One aspect of religious belief that does interest me is that of G-d hiding himself to the point that we have free choice. I think that there is a need for a theology of religious tolerance. After coming out of Shabbos, with writing and electronic communication set aside for a night and a day, I sometimes step back and evaluate what I am doing and what I hope to accomplish. I owe it to my readers as well as to myself. Thank you. A Jewish group in Chisinau (Kishinev), Moldova put up a menorah in a public park and experienced a rude reawakening of old fashioned Jew hatred when a group proclaiming itself to be orthodox Christians smashed the menorah and put up an orthodox Christian cross in its place. Associated Press reports as follows on the incident which occurred two days ago. "Dozens of people led by an Orthodox priest smashed a menorah in Moldova's capital, using hammers and iron bars to remove the candelabra during Hanukkah, officials said. The 1.5 meter(5-foot)-tall ceremonial candelabrum was retrieved, reinstalled and is now under police guard. Police said they were investigating the Sunday attack but there was no official reaction from Moldova's Orthodox Church, which is part of the Russian Orthodox Church and counts 70 percent of Moldovans as members. The U.S. Embassy and Chisinau city government condemned the attack. City officials called on the church to investigate. The head of the church, Bishop Vladimir Cantarean, was at his mother's funeral in Ukraine on Monday and was expected to make a statement when he returns, the church said." There is a sort of spiritual emptiness that leaves a person dependent upon hatred for a sense of self. There are people who would be lost if they did not have an object of hatred to give them a sense of direction. 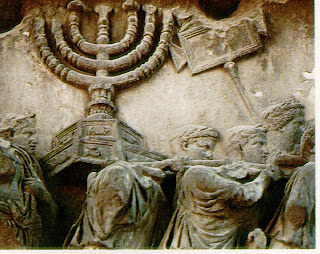 Those who put up the menorah were celebrating their Jewish heritage. In most parts of the world where Christmas is celebrated, Christmas displays such as crosses and nativity scenes are positive affirmations of Christian faith. This instance in which a cross was installed on the spot of a desecrated menorah is a total negation of the feelings of the majority of Christians who are simply celebrating the birth and creed of their religion's founders. In America, where Lubavitcher Chassidic Jews have led menorah lighting campaigns in public places, the legal precedents that have permitted such displays have benefitted Christians who do not want their faith relegated to private spaces. The lesson that I have learned from watching this display of bigotry is that one must shine one's own light rather than extinguish that of others, that one must define oneself by love and not through hatred. I am grateful to live in America where such faith is a living reality among believers of all faiths. When such peaceful respect of the right to differ is absent, then one realises its true value. I wish my Christian readers peace during their holiday season. I feel great gratitude to G-d and to America that hatred as is seen in Chisinau, Moldova is a rarity here in America. There has been a phenomenon which has occurred since German reunification started with the fall of the Berlin Wall in 1989 in which East Germans express the sentiment that not all was bad under communism. Frequently cited is the austere certainty that all would eat and have a roof over their heads, no matter how austere such security might be and with airbrushed memories of the price in fear and loss of freedom. There were some cultural treasures created under the communist regime in East Germany. The Puhdys, the entire East German rock scene is no where near adequately appreciated. Another facet of East German cultural life was the films of DEFA, also known as the Deutsche Film-Aktiengesellschaft, which was the state run film studio of the communist regime. Some of its films were spectacularly awful, such as "Heisse Sommer" (Hot Summer), which was a campy, awful film about a traveling group of women and another group of men who kept inadvertantly crossing paths on a summer vacation. Far better was "Die Legende von Paul und Paula", (The story of Paul and Paula), a hip sort of romance that became a cult classic even out of East Germany. The Puhdys increased their recognition through the sound track of the movie. One of the best films in the history of East Germany was actually banned when it was made in 1973. "Bear Ye One Another's Burden" ( Einer trage des anderen Last) was not actually permitted to be seen until 1988. Set in the early 1950's in East Germany, it is the story of a Lutheran pastor and a fervent communist who ended up as roommates in a tubercular sanatorium. Each was firm and vocal in his own convictions, and portrayed in a nuanced and sympathetic manner. What was most subversive to the communist regime was the search for a common denominator between true believers of vastly different persuasions. Eric Hoffer explored such questions in his work. But questions of such nature were banished from polite circles in communist society. It is possible to get the film in its entirety for free on line. Unfortunately it is without subtitles. To view East German films with subtitles is possible , by purchasing them from the DEFA Film Library in Amherst Massachusetts. There are insights to be gained from studying art under totalitarian regimes. There is brilliance that comes out under a repressive regime. Ismail Kadare of Albania stayed out of jail and true to himself by writing about Albania in the past and through making implicit and allegorical commentary on the present through some of his works. It could be argued that it is not only freedom that gives birth to art but conventions, restrictions and outright censorship. I do not view the people of East Germany as different from myself. It was the Germans of the Weimar Republic who voted their own freedoms out of existence in the 1932 elections. I can not help wondering if Americans are capable of making such choices in an incremental manner. History is most properly studied when one feels the allure and the pull of now discredited ideas that once shaped history. Studying and enjoying the art of totalitarian regimes is a useful tool in such a quest. I hope my readers will explore this fascinating field of study. Reports are leaking out in the British press that Queen Elizabeth, who is 83 years old has scaled down her grueling schedule. Prince William, who is her grandson through Prince Charles has been formally assigned some of her ceremonial duties. The Daily Mail reports as follows. "The Queen is to hand over a substantial part of her public duties to Prince William to help him prepare for the day when he becomes King, according to a confidential document obtained by The Mail on Sunday. Secret papers reveal that plans to ease the strain on the 83-year-old monarch and her 88-year-old husband, Prince Philip, are at an advanced stage. The disclosures come despite months of denials from the Palace that the Queen was planning to step back from her official work in favour of her 27-year-old grandson. " The document that was made public had portions blacked out, but reporters were able to get "unredacted" versions for critical review. The Telegraph also reported that Prince Charles will be getting hefty tax breaks from the British government. With his entire budget covered by British taxpayers, it is hard to imagine that he needs relief any more than the average Englishman. The Telegraph quotes as follows press release from "Republic", a British organisation that wants to do away with the British monarchy. ‘We have been misled,’ the spokesman said. ‘This shows that planning is well under way to prepare for the next succession. 'Here we have proof that the Palace is preparing William to take over the Queen’s duties. ‘The Palace operates in secrecy, doing deals behind the back of the British people to ensure a smooth transition to the next King. ‘In addition, we discover that at a time of recession, Charles is secretly lobbying for an exclusive tax break worth hundreds of thousands of pounds a year. There had been speculation for years that Prince Charles was far too compromised by his colourful personal life to command the respect that would befit a future king. His affair with Camilla Parker Bowles, who is now his wife, did nothing to endear the two of them to the British public. It had seemed that his marriage to Princess Diana was going to be a fairy tale success. Instead it did a spectacularly self destruct that would have played well on the Jerry Springer show. Princess Diana's nickname "the Rottweiler" for Camilla Parker Bowles gained a lot of popularity. In the restaurant of marital bliss, it appeared that Prince Charles had traded his filet mignon for hamburger helper. Prince William, by contrast has a clean slate. He served honourably in Afghanistan, and has a personal life that is ordered and sensible, with a girlfriend (Kate Middleton) who the British public hopes will soon be engaged to Prince William. It is very tempting as an American to scoff at the whole idea of royalty. My grandfather, who fought for Franz Joszef in World War I was opposed to monarchy and favoured a Republic. My other grandfather kept a picture of Franz Joszef in his living room along with a picture of FDR. I have seen Croats, Serbs and Bosnians butcher each other in recent times. It is hard not to wonder if they would not all have been happier as subjects of one emperor of king, united as royal subjects rather than feuding zealous guardians of a national state. In a republic, it is possible for an ethnic minority to achieve majority status in an area. A constant concern in the Balkans is that people in an area will vote along ethnic lines to join a neighbouring country. Making loyalty to a reigning monarchy the defining characteristic of a nation is a graceful way of sidestepping this. In a world where many minorities clamour for statehood and in which bloody wars have been fought for regional hegemony, this is no small concern. I am not saying that monarchy is the only road to peace, but it is far from dead as a viable concept. The prevailing wisdom has for years been the idea that a monarch should be a mere figurehead. In fact, the reigning monarch has limited powers in Britain and in British Commonwealth nations. In 1975, the Governor General, appointed not by the Australian people but by the Queen, dissolved the Australian government and called for new elections. A more recent example is King Juan Carlos, who was hand picked and trained by Francisco Franco to rule Spain as King. In a surprising turn of events, King Juan Carlos supervised a Spanish return to democracy, which involved arranging a modus vivendi with Spain's Basque and Catalonian regions which has resulted in a peaceful resurgence of Basque and Catalonian culture. I hope that the British monarchy can regain some of the respect and function that it had in past eras. Britain continues to influence large parts of the world that were once its empire. I wish Prince William success in the discharge of his duties. And I wish Queen Elizabeth health and length of years. 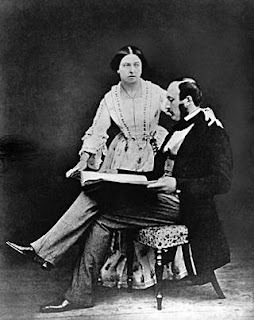 The picture with this article is of Queen Victoria and Prince Albert in 1854. The images of Iranian street demonstrations has captivated the imagination of the world. After a stolen election, bare knuckles brutality has been used to keep the Ahmadinejad regime in power. But does Iran's power stop at its borders? Anyone who has studied revolutions knows that they are like trees cultivated as seedlings in a greenhouse and transplanted to their respective homelands in the proper season. Jose Marti spent decades in New York City. Lenin went to Switzerland. Ho Chi Minh was a dish washer in New York City. The unwritten rule is that you can plot revolution in your native land as long as you leave the host country alone. This basic fact of political life is not lost on totalitarian regimes. Sadaam Husein's regime used to send video cassettes to dissidents abroad of their relatives being horribly tortured. It was enough to cow many into silence. Assassinations abroad are a common tool. Iran has a strategy and a program to control, manipulate, monitor and suppress dissidents abroad. Ali Alfoneh is a political scientist whose scope of concern naturally includes his homeland. He had personal contact with Iran's overseas intelligence services. He wrote as follows in an article titled "The Bearded Gentleman" about his first hand experiences in The American, which is a journal of the American Enterprise Institute. "Rock stars are worshipped by their fans, so are movie stars, famous authors, and even political analysts—or so I once thought. I had at least one fan while working in Copenhagen from 1988 to 2009. My fan was a bearded gentleman who showed up at all my public presentations on Iran. Regardless of the venue, season, and time of the day, this gentleman would find his way to each event and sit in the first row, dressed in the same suit, recording each word I spoke in his little notebook. The fourth time I saw the gentleman, I approached him and after elaborate exchange of Persian formalities I asked who he was. “I work in the cultural section of the Embassy of the Islamic Republic of Iran,” he responded flatly; and down tumbled my world of vanity. His presumed devotion was less due to the power of my arguments or eloquence of speech, but evidently because he was employed to do so, and because the Islamic Republic wanted me to know that the embassy keeps an eye on Iranian scholars abroad." Mr. Alfoneh saw his encounter as an opportunity, and engaged his minder in conversation, asking him how many Iranian spies there were in Denmark. The man created a picture of jealous Iranians caught up in personal and political rivalries, falling all over themselves to feed information to the Iranian government. Mr. Alfoneh found this answer to resonate with a measure of truth, even though the curious gentleman who was monitoring him had gracefully sidestepped any specifics. Iranian exile politics is a fractious affair. There are ethnic minorities within Iran. There are monarchists, communists and those who believe in something akin to Western democracy. Some of them hate each other more than they do the regime in Teheran. Mr. Alfoneh pointed out another technique, that of economic engagement. He described it as follows in the same article. "First and foremost, the Islamic Republic has managed to pacify great numbers of the expat Iranian population by returning confiscated real estate, land, and savings in Iranian banks. Indeed, by encouraging business, the Islamic Republic has managed to increase economic ties between the Iranian community outside of Iran and the motherland. This includes those Iranians politically or culturally opposed to the Islamic regime. But every once in a while, tales emerge of confiscated passports, interrogation, and imprisonment. While few in number, these cases spread fear among Iranians and temper their involvement in opposition activities abroad." It is a principle of discipline that the possibility of punishment makes its actual use a rarity in the hands of a skilled disciplinarian. Such a principle is useful to a regime that treats its citizens like children. The intelligence services don't simply collect information, they use it to exacerbate internal tensions in Iranian political, social and cultural groups abroad, according to Mr. Alfoneh. Groups that are independent of the regime are perceived as a threat, simply by providing a gathering place that is not under government auspices. Soccer clubs, cultural organisations and learning centers are then created by the Iranian government to provide a meeting ground for Iranians abroad that is more easily controlled. Now that there is a demand within Iran for free elections, the bravery of Iranians in Iran is according to Mr. Alfoneh emboldening Iranians abroad. It is far easier to unite around a program of general political rights than it is to coalesce around a social vision and an economic approach. In the aftermath of the discredited June 12 elections, the old tricks of Iranian intelligence abroad are yielding diminishing returns. The Ahmadinejad regime has gone to great measures to secure its hold on power. The streets of Tehran and other cities and the villages across the country are in a vise grip that betrays the desperation of a revolution in its terminal stages. It is in the streets of Copenhagen that we become aware of the cunning of the regime in Tehran as it hangs on to power by any means necessary. 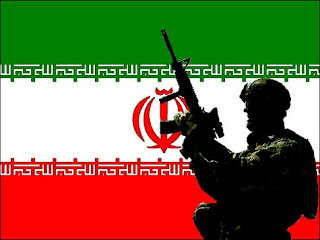 It will be interesting to see how Iranians abroad react to the events in their homeland and what, if anything the Ahmadinejad regime can do with its diminishing options. It is men like Ali Alfoneh who provide a valuable perspective in understanding these questions. Twenty years ago, thousands of textbooks on Eastern Europe and the former Soviet union became totally obsolete. In the years that followed, nations that had only dreamed of statehood now had their own postage stamps and currency. To those who grew up during the cold war, it still seems like a dream. 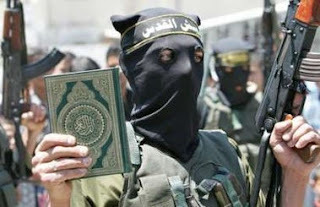 Militant Islam has shattered any illusions we might have had that the vacuum left by the demise of communism would remain unfilled. The ruins of the World Trade Center stand as a stark reminder that America and Western democracy face determined enemies. One of the images that remains with me from the cold war is that of "Sovietologists" and others who studied every aspect of the Soviet bloc, from its leadership to its mass media, from its dissidents to its economic problems. America was able to reach into its melting pot and assemble an admirable team of experts to provide intelligence on the Former Soviet Union, Eastern Europe and China. We now have need of what the magazine "Foreign Affairs " calls "Jihadology" as an academic specialty. Foreign Affairs reports as follows on the dearth of studies of America's current adversaries. 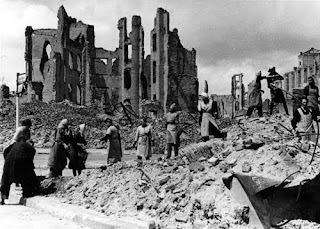 "In 1945, the United States faced a dire threat. The rising power of the Soviet Union and the spread of communism in Eastern Europe -- and, soon enough, worldwide -- represented a new enemy that imperiled postwar hopes for a peaceful and prosperous world. The United States was poorly equipped to comprehend, let alone respond to, this emerging global danger. The federal government had few experts who spoke Russian or had a deep knowledge of Russian history and culture; universities were barely better off. The field of Soviet studies emerged as a response and became the catalyst for a network of area studies programs that would soon follow. Today, the United States faces a similar challenge in understanding the threat posed by Islamic fundamentalism. Much like the Soviet Union, militant Islam represents not just an army but an idea -- and one that fights in novel and highly unorthodox ways. Despite the existence of a successful historical model, the U.S. government does not seem to have absorbed the useful lessons from the creation of Soviet studies programs in its efforts to study this new threat. Sovietology was -- especially in its first decade -- a vibrant intellectual enterprise that contributed to scholarly disciplines, public debate, and top-secret government discussions. A look at this field's success is essential to shaping how the U.S. government defines and studies the threat of Islamic fundamentalism. " The comparison is even more apt when one considers that the communist world was hardly a monolith. You had the Soviets and the Chinese, who came very close to war. Then you had the Albanians who eventually broke with both of them. To make matters even more complicated, you had Yugoslavia, which was almost an American ally. The Islamic world is no lest divided than was the communist world. There are Sunni Muslims and Shiite. There is bitter rivalry between the two. Turkey is a secular nation that interprets its secularism in an authoritarian way. Ethnic and religious rifts in that country are tearing away at the social fabric woven under Kemal Ataturk, the founder of modern Turkey. Albania and Bosnia practice a very relaxed form of Islam that is considered heretical in more traditional circles. The Southern republics of the former Soviet Union such as Azerbaijan and Uzbekistan feel a heavy pull from Turkey and Iran. The Saudis and the Iranians would very much like to pull former Soviet republics into their orbit. The Chechen conflict and the Beslan school attack in 2004 (in which over 300 people were killed) show that the stakes are at leastas high for the Russians as they are for America. Baathism is a form of secular pan arabism that was heavily influenced by Naziism. Though it is heavily authoritarian in nature, it provides a definition of what it means to be Arab that allows for Christian participation in the society. Pakistani and Indian Muslims often feel like second class citizens when dealing with Arab Muslims. Prejudice against African Muslims is intense and bare knuckled at times. If it were not for hatred of Israel and the West, the Islamic world would probably fall apart. Understanding this fractious religio-ethnic landscape is a critical prerequisite towards navigating it succesfully. We have a lot of potential to develop a critical and deep understanding of the Islamic world. Unfortunately, we have a long way to go before our intelligence on this subject is anywhere near as useful as the "Kremlinologists" were in shedding light on the former USSR. Developing an understanding of the Islamic world is critical to our national security. We should not waste any time in developing, strengthening and maintaining this facet of our intelligence services. Wars are won not only by outgunning the enemy but by understanding him.